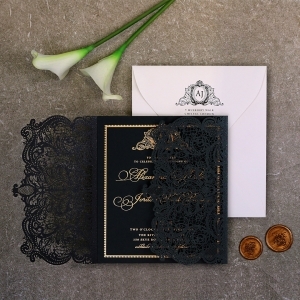 B Wedding Invitations brings you stunning foil pressed invitations to announce your wedding day in true style and with utter sophistication. 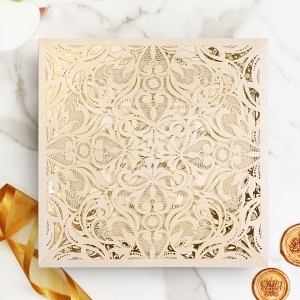 Our premium collection of glistening and gilded wedding cards exudes an air of luxe and are the epitome of decadence and delightful. 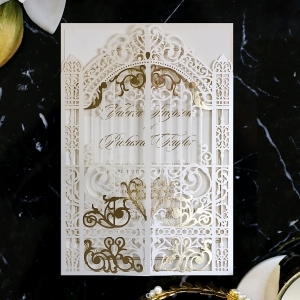 Choose between our impressive selection of rose gold, matte or gloss gold or silver foiling on black, white, navy or craft paper to add that touch of exclusivity and elegance to your wedding day. 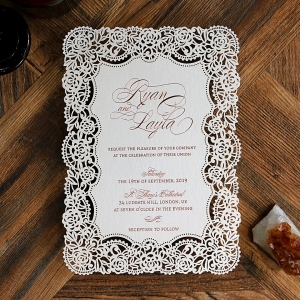 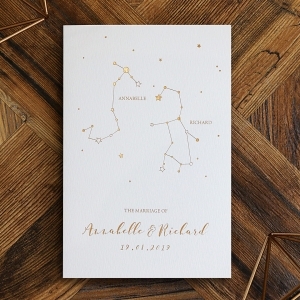 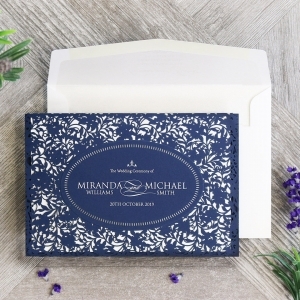 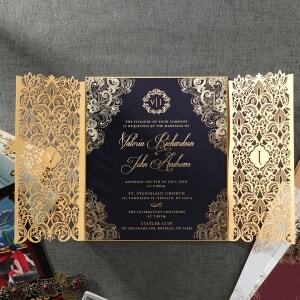 B Wedding will bring you an invitation that showcases gorgeous foil stamping on the finest quality German imported paper. 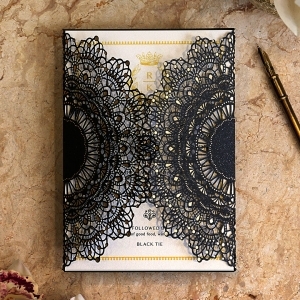 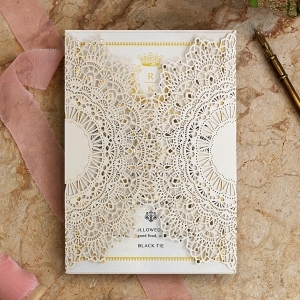 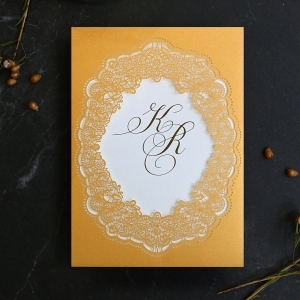 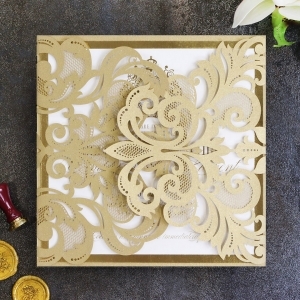 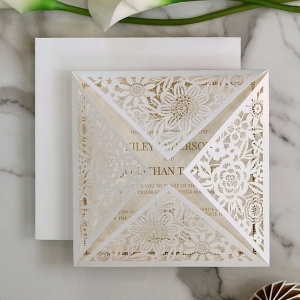 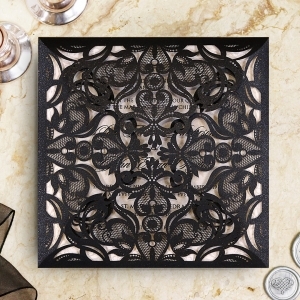 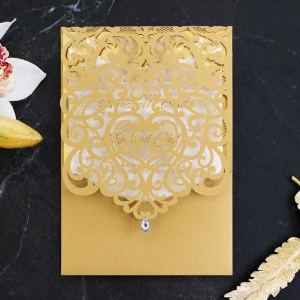 Your guests will be blown away by the impressive and immaculate finish of these wedding cards. 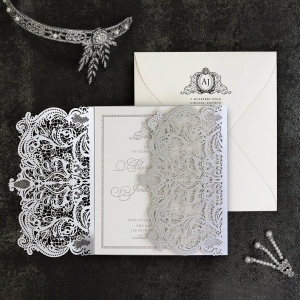 Embracing timeless appeal and trendiness, this highly anticipated collection presents your celebration with the most royal and regal designs and with even something for the most relaxed bride. 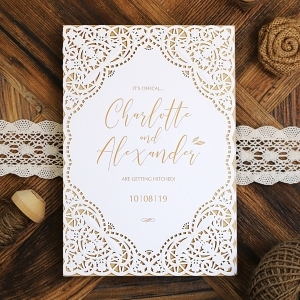 Old world and Victorian elegance meets contemporary and chic in this exclusive 2017 collection. 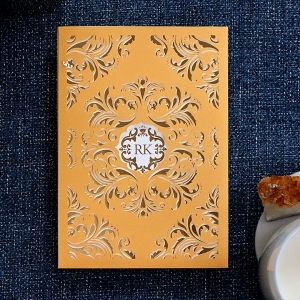 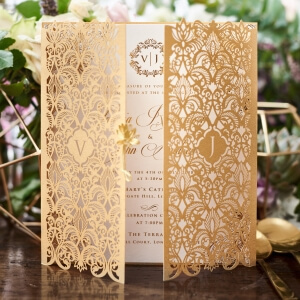 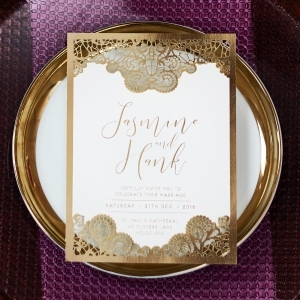 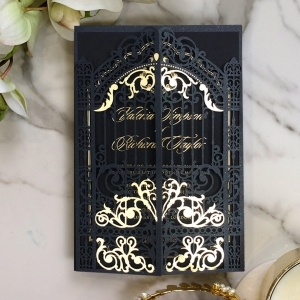 If you really want to impress and take your guests breath away, our gold foiled invitations are the perfect choice.